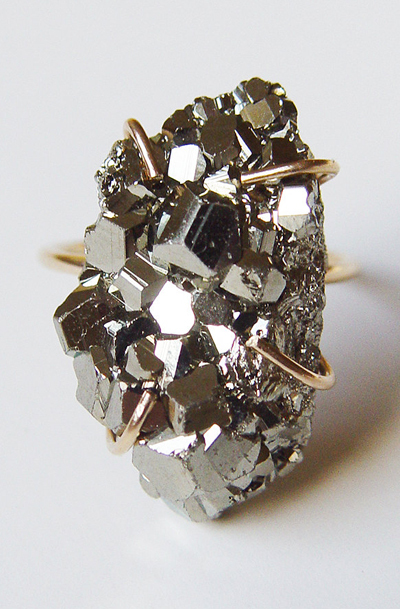 Featuring a stunning natural pyrite crystal mineral stone in absolutely beautiful quality. The gemstone was hand crafted into a 14k gold filled bezel set ring. This is a true statement ring that will bring life into any tired outfit. Perfect with a little black dress.